These are the first of the Sherlock Holmes short stories, originally published as single stories in the Strand Magazine from July 1891 to June 1892. 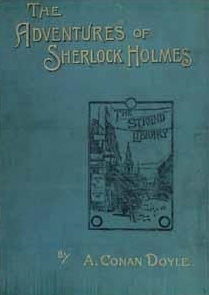 The book was published in England on 14 October 1892 by George Newnes Ltd and in a US Edition on 15 October by Harper. The initial combined print run was 14,500 copies. The book was banned in the Soviet Union in 1929 for the occultism of its author, although the book shows few to no signs of such material. Later, the embargo was lifted.